Héctor Miguel Lombard Pedrosa (born 2 February 1978) is a Cuban-Australian professional mixed martial artist, bodybuilder, and former Olympic judoka who competes as a middleweight in the Ultimate Fighting Championship. He was the first ever Bellator Middleweight World Champion. Héctor Lombard is a fourth degree black belt in judo and a former Olympic judo competitor from Cuba. Lombard currently trains at the American Top Team facility in Coconut Creek, Florida. Marcus "Conan" Silveira (ATT Head Coach) awarded Lombard with a black belt in Brazilian jiu-jitsu following his victory at CFC 12. In 2006, Lombard fought twice in PRIDE. He lost both fights by unanimous decision, the first to Akihiro Gono and the second to Gegard Mousasi. Lombard headlined the first Cage Fighting Championship show on 28 July 2007, where he fought top Australian fighter Kyle Noke. The result was a controversial draw. On 23 November 2007, Lombard defeated French kickboxer and actor, Jean-François Lénogue to be the CFC Middleweight Champion. He has defended his title six times, with the last title defence coming against Art Santore. Lombard next successfully defended his belt against UFC veteran Joe Doerksen at CFC 16 on 25 March 2011. Lombard was scheduled to compete for the promotion at UFC 78, but was forced to withdraw due to visa issues. On 18 April 2008, EliteXC released a press statement citing the signing of Héctor Lombard. His first opponent was scheduled to be Scott Smith in November, but the fight was later cancelled after the collapse of the promotion. On 6 January 2009, it was announced that Héctor Lombard had signed an exclusive agreement with Bellator Fighting Championships. He fought and defeated Virgil Lozano and Damien Stelly to make it to the finals and fight for the first Bellator Middleweight Championship belt. Lombard defeated Jared Hess via doctor stoppage in the fourth round to win the middleweight title. Lombard was scheduled to face Paulo Filho in a non-title bout on 13 May 2010 at Bellator 18, but Filho pulled out of the bout on 10 May due to an alleged visa issue and was replaced by Jay Silva. Lombard scored the fastest knockout in Bellator history by recording a six-second win, surpassing Eddie Sanchez and his ten-second KO win over Jay White. Lombard then faced former NFL player Herbert Goodman in a non-title fight on 12 August 2010 at Bellator 24. He won the fight via KO (punches) in the first round. On 28 October 2010, Lombard defeated Alexander Shlemenko in a 1st season winner vs. a 2nd season winner matchup to retain the Bellator Middleweight Championship at Bellator 34. He was the first man in Bellator history to successfully defend his title belt in any weight division. Lombard next fought Falaniko Vitale in a non-title bout at Bellator 44. He won via KO in third round. Lombard fought in another non-title bout against Trevor Prangley at Bellator 58 on 19 November 2011. Lombard won the fight via second round TKO. On 30 January 2012, Lombard's contract with Bellator expired. It was confirmed on 24 April 2012 that Héctor Lombard had signed with the UFC. Lombard was expected to make his UFC debut against Brian Stann on 4 August 2012 at UFC on Fox 4. However, Stann was forced out of the bout citing a shoulder injury. In turn, Lombard was pulled from the card and instead faced Tim Boetsch on 21 July 2012 at UFC 149, replacing an injured Michael Bisping. Even though Lombard scored a knockdown and a couple of takedowns, he lost the fight by split decision. Lombard faced Rousimar Palhares on 15 December 2012 at UFC on FX 6. Lombard knocked Palhares out in the first round with ground and pound after having knocked him down with punches. Lombard was defeated by Yushin Okami at UFC on Fuel TV: Silva vs. Stann on 3 March 2013. Lombard next dropped down to the welterweight division to face Nate Marquardt on 19 October 2013 at UFC 166. He won the fight via knockout in the first round. Lombard faced Jake Shields on 15 March 2014 at UFC 171. He won the fight via unanimous decision. Lombard was expected to face Dong Hyun Kim on 23 August 2014 at UFC Fight Night 48. However, he pulled out of the bout and was replaced by Tyron Woodley. Lombard faced returning UFC veteran Josh Burkman on 3 January 2015 at UFC 182. He won the fight by unanimous decision. Subsequent to the event, it was revealed that he failed his post-fight drug test, testing positive for the anabolic steroid desoxymethyltestosterone. Lombard was expected to face Rory MacDonald on 25 April 2015 at UFC 186. However on 10 February, the UFC indicated that both participants had been removed from the card and that the pairing had been scrapped as both fighters are expected to be rebooked against a new opponent. On 23 March 2015, it was announced that Lombard had been suspended for one year (retroactive to 3 January) and fined his original $53,000 win bonus, plus one-third of the rest of his purse, which included $53,000 in show money, and had his win over Josh Burkman overturned to a no contest by the Nevada Athletic Commission (NSAC) for failing his UFC 182 drug test. In addition to his suspension, fine, and overturning of the win, he also must pass a drug test prior to getting re-licensed by the NSAC. In his first fight after the PED suspension was lifted, Lombard faced Neil Magny on 20 March 2016 at UFC Fight Night 85. After nearly finishing Magny with strikes in the first round, he was stopped via TKO in the third round. Lombard faced Dan Henderson in a middleweight bout on 4 June 2016 at UFC 199. After a back and forth first round, he was stopped via KO in the second round. Lombard was expected to face Brad Tavares on 28 January 2017 at UFC on Fox 23. However, the bout was scrapped on January 10 due to undisclosed reasons. Lombard was quickly rescheduled and faced Johny Hendricks on 19 February 2017 at UFC Fight Night 105. He lost the back-and-forth fight via unanimous decision. Lombard faced Anthony Smith on 16 September 2017 at UFC Fight Night 116. He lost the fight via TKO in the third round. Lombard faced C.B. Dollaway on 3 March 2018 at UFC 222. At the conclusion of the first round, Lombard landed two strikes after the horn, which rendered Dolloway unable to continue. As a result, Lombard was disqualified. Lombard faced Thales Leites on September 22, 2018 at UFC Fight Night 137. He lost the fight via unanimous decision. Loss 34–9–1 (2) C.B. Dollaway DQ (illegal punches) UFC 222 3 March 2018 1 5:00 Las Vegas, Nevada, United States Lombard was disqualified after hitting Dollaway twice after the bell, rendering him unable to continue. Loss 34–6–1 (2) Dan Henderson KO (elbows) UFC 199 4 June 2016 2 1:27 Inglewood, California, United States Return to Middleweight. NC 34–4–1 (2) Josh Burkman NC (overturned) UFC 182 3 January 2015 3 5:00 Las Vegas, Nevada, United States Originally a unanimous decision win for Lombard; overturned after he tested positive for anabolic steroids. Win 33–4–1 (1) Nate Marquardt KO (punches) UFC 166 19 October 2013 1 1:48 Houston, Texas, United States Welterweight debut. Win 31–2–1 (1) Trevor Prangley TKO (punches) Bellator 58 19 November 2011 2 1:06 Hollywood, Florida, United States Catchweight (195 lbs) bout. Win 30–2–1 (1) Jesse Taylor Submission (heel hook) Australian Fighting Championship 2 3 September 2011 2 1:26 Melbourne, Australia Won the inaugural AFC Middleweight Championship. Win 29–2–1 (1) Falaniko Vitale KO (punch) Bellator 44 14 May 2011 3 0:54 Atlantic City, New Jersey, United States Non-title bout. Win 28–2–1 (1) Joe Doerksen TKO (doctor stoppage) CFC 16 25 March 2011 1 4:13 Sydney, Australia Defended the CFC Middleweight Championship. Win 27–2–1 (1) Alexander Shlemenko Decision (unanimous) Bellator 34 28 October 2010 5 5:00 Hollywood, Florida, United States Defended the Bellator Middleweight World Championship. Win 26–2–1 (1) Herbert Goodman KO (punches) Bellator 24 12 August 2010 1 0:38 Hollywood, Florida, United States Non-title bout. Win 25–2–1 (1) Jay Silva KO (punches) Bellator 18 13 May 2010 1 0:06 Monroe, Louisiana, United States Catchweight (190 lbs) bout. Win 24–2–1 (1) Art Santore TKO (doctor stoppage) CFC 12 12 March 2010 1 4:23 Sydney, Australia Defended the CFC Middleweight Championship. Win 23–2–1 (1) Joey Gorczynski Decision (unanimous) G-Force Fights 4 February 2010 3 5:00 Miami, Florida, United States Light Heavyweight bout. Win 22–2–1 (1) Kalib Starnes Submission (punches) CFC 11 20 November 2009 1 1:55 Sydney, Australia Defended the CFC Middleweight Championship. Win 21–2–1 (1) Jared Hess TKO (doctor stoppage) Bellator 12 19 June 2009 4 1:41 Hollywood, Florida, United States Won the Bellator Middleweight World Championship. Bellator Season 1 Middleweight Tournament Final. Win 20–2–1 (1) Damien Stelly TKO (punches) Bellator 9 29 May 2009 1 2:56 Monroe, Louisiana, United States Bellator Season 1 Middleweight Tournament Semi-final. Win 19–2–1 (1) Virgil Lozano KO (punch) Bellator 3 17 April 2009 1 1:10 Norman, Oklahoma, United States Bellator Season 1 Middleweight Tournament Quarterfinal. Win 18–2–1 (1) Ron Verdadero TKO (suplex and punches) CFC 7 20 February 2009 1 0:20 Sydney, Australia Defended the CFC Middleweight Championship. Win 17–2–1 (1) Brian Ebersole Submission (punches) CFC 5 12 September 2008 4 1:56 Sydney, Australia Defended the CFC Middleweight Championship. Win 16–2–1 (1) Fabiano Capoani KO (elbows) CFC 4 23 May 2008 2 0:23 Sydney, Australia Defended the CFC Middleweight Championship. Win 15–2–1 (1) Tristan Yunker KO (knees) CFC 3 15 February 2008 1 3:10 Sydney, Australia Defended the CFC Middleweight Championship. Win 13–2–1 (1) Jean-François Lenogue Decision (unanimous) CFC 2 23 November 2007 3 5:00 Sydney, Australia Won the inaugural CFC Middleweight Championship. Loss 7–2 (1) Gegard Mousasi Decision (unanimous) Pride – Bushido 13 5 November 2006 2 5:00 Yokohama, Japan PRIDE 2006 Welterweight Grand Prix Alternate Bout. Loss 5–1 (1) Akihiro Gono Decision (unanimous) Pride – Bushido 11 4 June 2006 2 5:00 Saitama, Japan PRIDE 2006 Welterweight Grand Prix Opening Round. Win 3–0 (1) David Frendin KO (punch) XFO 10 3 March 2006 1 0:52 Gold Coast, Australia Won the inaugural XFC Light Heavyweight Championship. NC 1–0 (1) Chris Brown NC (accidental headbutt) WR 3 12 March 2005 1 N/A Brisbane, Australia Brown was knocked out by an accidental headbutt. ^ MMA Fighting Newswire (19 August 2014). "Hector Lombard changes nickname to 'Showeather'". MMA Fighting. ^ Nate Wilcox (30 April 2012). "UFC's Newest Fighter Hector Lombard Asks For A 'Random Drug Test'". Bloody Elbow. ^ "Hector Lombard Interview". Archived from the original on 25 January 2011. Retrieved 4 January 2013. ^ "Fight Card – UFC 182 Jones vs. Cormier". UFC.com. Retrieved 15 January 2015. ^ a b "UFC's Hector Lombard Receives 2nd Degree on BJJ Black Belt from Liborio". BJJ Eastern Europe. April 1, 2016. 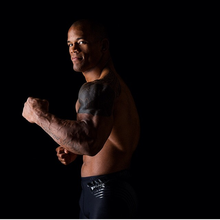 ^ a b "Hector Lombard - Official UFC Fighter Profile". UFC.com. Retrieved February 26, 2017. ^ "MIXED MARTIAL ARTS SHOW RESULTS DATE: January 3, 2015 LOCATION: MGM Grand Garden Arena, Las Vegas" (PDF). Boxing.nv.gov. Archived from the original (PDF) on 20 November 2015. Retrieved 14 February 2016. ^ "Hector Lombard ("Showeather") | MMA Fighter Page". Tapology. Retrieved 2016-02-14. ^ "Lombard continues unbeaten streak". Cfcworld.com.au. 2010. Archived from the original on 16 February 2011. Retrieved 14 February 2016. ^ "Cage Fighting Championship 12". Archived from the original on 23 May 2010. Retrieved 4 June 2010. ^ "Former Cuban Olympian, Hector Lombard Signs Exclusively With Bellator Fighting Championships". Reuters. 6 January 2009. ^ "Bellator announces Hector Lombard vs Paulo Filho non-title 'Super Fight' on May 13". mmamania.com. Retrieved 30 March 2010. ^ "Paulo Filho out, Jay Silva in against Hector Lombard on Thursday's Bellator 18 card". mmatorch.com. Retrieved 11 May 2010. ^ "Hector Lombard meets NFL vet "Whisper" Goodman in Bellator 24 non-title fight". mmajunkie.com. Archived from the original on 15 July 2010. Retrieved 13 July 2010. ^ "Champ Hector Lombard meets Falaniko Vitale in Bellator 44 non-title bout". MMAjunkie. Archived from the original on 25 February 2011. ^ "UFC signs Cuban-Australian standout Hector Lombard". The Roar. Retrieved 2016-02-14. ^ MMAjunkie.com Staff (24 April 2012). "Bellator champ Hector Lombard signs with UFC". mmajunkie.com. Archived from the original on 26 April 2012. ^ "Hector Lombard vs. Brian Stann targeted for UFC on FOX 4 in Los Angeles". mmajunkie.com. 29 April 2012. Archived from the original on 1 May 2012. ^ "Hector Lombard Leaves Bellator". ESPN.go.com. 25 April 2012. ^ Helwani, Ariel (6 June 2012). "Brian Stann Out of UFC on FOX 4 Main Event". mmafighting.com. ^ Mrosko, Gene (7 June 2012). "Hector Lombard vs Tim Boetsch fight set for July 21 with Michael Bisping injured". mmamania.com. ^ "UFC on FX 6 set for Australia, gets Hector Lombard vs. Rousimar Palhares headliner". mmajunkie.com. 7 September 2012. Archived from the original on 10 September 2012. ^ "Yushin Okami Vs Hector Lombard Added To UFC Japan". fighters.com. 8 January 2013. Archived from the original on 16 January 2013. ^ Staff (3 July 2013). "Nate Marquardt vs. Hector Lombard Welterweight Bout Added to UFC 166 Fight Card". mmaweekly.com. Retrieved 3 July 2013. ^ Dann Stupp (9 December 2013). "Hector Lombard vs. Jake Shields slated for UFC 171 in Dallas". mmajunkie.com. Retrieved 9 December 2013. ^ Damon Martin (21 May 2014). "Hector Lombard vs. Dong Hyun Kim targeted for UFC Fight Night in China". foxsports.com. Retrieved 21 May 2014. ^ Staff (24 June 2014). "Tyron Woodley in for Hector Lombard, meets Dong Hyun Kim at UFC Fight Night 48". mmajunkie.com. Retrieved 24 June 2014. ^ Tristen Critchfield (3 October 2014). "Welterweight Josh Burkman Returns to Octagon, Faces Hector Lombard at UFC 182". sherdog.com. Retrieved 3 October 2014. ^ Ariel Helwani (10 February 2015). "NAC: Hector Lombard failed UFC 182 drug test". mmafighting.com. Retrieved 10 February 2015. ^ Zane Simon (10 January 2015). "Hector Lombard set to face Rory MacDonald at UFC 186". bloodyelbow.com. Retrieved 10 January 2015. ^ Staff (10 February 2015). "Champ Demetrious Johnson vs. Kyoji Horiguchi is UFC 186's new co-main event". mmajunkie.com. Retrieved 10 February 2015. ^ Mike Bohn (10 February 2015). "With MacDonald vs. Lombard pulled from UFC 186, both fighters to get new opponents". mmajunkie.com. Retrieved 10 February 2015. ^ Matt Erickson and Brent Brookhouse (23 March 2015). "Hector Lombard suspended one year, fined, has UFC 182 win overturned by NSAC". mmajunkie.com. Retrieved 23 March 2015. ^ Liam Ducey (19 January 2016). "UFC Brisbane gets four more fights". smh.com.au. Retrieved 19 January 2016. ^ Ben Fowlkes (2016-03-20). "UFC Fight Night 85: Neil Magny is first to stop Hector Lombard with comeback TKO". mmajunkie.com. Retrieved 2016-03-20. ^ Mike Fridley (2016-04-14). "Dan Henderson to face Hector Lombard in middleweight bout at UFC 199". sherdog.com. Retrieved 2016-04-14. ^ Ben Fowlkes (2016-06-04). "UFC 199 results: Dan Henderson gets brutal KO of Hector Lombard in what may be final fight". mmajunkie.com. Retrieved 2016-06-04. ^ Liam Ducey (2016-12-02). "UFC: Hector Lombard faces fight for MMA survival". smh.com.au. Retrieved 2016-12-02. ^ John Morgan and Steven Marrocco (2017-01-10). "UFC on FOX 23 loses Hector Lombard vs. Brad Tavares, adds Alessio Di Chirico vs. Eric Spicely". mmajunkie.com. Retrieved 2017-01-11. ^ MMAjunkie Staff (2017-01-18). "Johny Hendricks moves to middleweight, meets Hector Lombard at UFC Fight Night 105 in Halifax". mmajunkie.com. Retrieved 2017-01-18. ^ Ben Fowlkes (2017-02-19). "UFC Fight Night 105 results: Johny Hendricks outpoints Hector Lombard in middleweight debut". mmajunkie.com. Retrieved 2017-02-19. ^ Ariel Helwani (2017-07-19). "Alves vs. Perry, Lombard vs. Smith slated for UFN: Pittsburgh". mmafighting.com. Retrieved 2017-07-19. ^ "UFC Fight Night 116 Results: Anthony Smith KO's Hector Lombard (VIDEO) | BJPenn.com". | BJPenn.com. 2017-09-16. Retrieved 2017-09-17. ^ Adam Hill (2017-11-29). "Hector Lombard looks to end skid at UFC 222". reviewjournal.com. Retrieved 2017-11-29. ^ "UFC 222 results: Hector Lombard disqualified for KO punch of C.B. Dollaway after horn". MMAjunkie. 2018-03-04. Retrieved 2018-03-04. ^ "UFC Sao Paulo results: Thales Leites finishes career with win over Hector Lombard". MMA Fighting. Retrieved 2018-09-22.